Cash traded fed cattle were lower this week. The five-area fed steer price for the week of August 18-August 25 averaged $114.81 for live sales, and $180.38 for dressed; respectively, down $2.73 and $5.68. Total volume sold was up 1,000 head from a week ago and up 55,000 head from last year. Feeder steer cattle and calves were mostly lower across the U.S. this week. Oklahoma City 500-550 pound steers were $7.00 lower while heavier 750-800 pound steers were $9.00 lower. 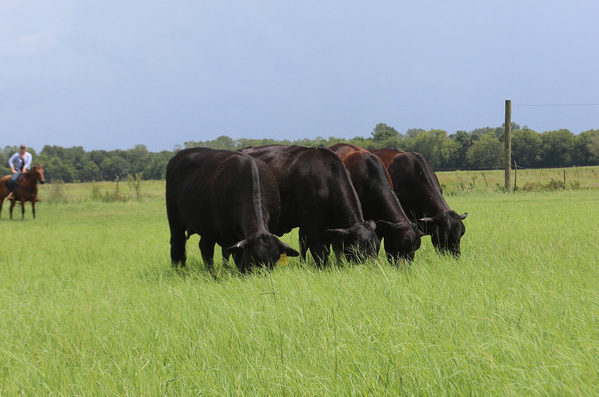 Mississippi pasture conditions were slightly better this week with 63% rated good or excellent, up 3% from a week ago. In Mississippi auctions, lighter weight feeders weighing 450-500 pounds were averaging $150.00, unchanged from a week ago, while heavy steers were averaging $120.50, down $2.50 from last week. Live cattle futures and feeder futures were lower this week. October live cattle were down $4.10 on the week and $37.80 lower than a year ago at $106.20, while December live cattle were down $3.65 from last week and down $37.93 from a year ago at $108.10. Feeder cattle were lower this week with September futures down $3.60 from last Friday and down $62.75 from a year ago at $140.10 while October futures are down $4.85 on the week at $136.10. Nearby corn futures are down $0.18 from a week ago at $3.16 while December futures are down $0.19. 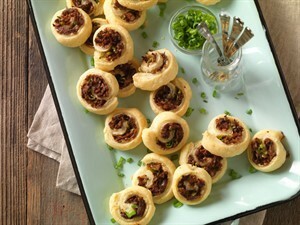 Wholesale boxed beef prices are mixed compared to a week ago. Choice boxes averaged $200.34, down $0.90 from a week ago. Select boxes ended the week with an average of $193.80, up $0.26 from last week. The choice-select spread narrowed from $7.70 a week ago to $6.54 this week. 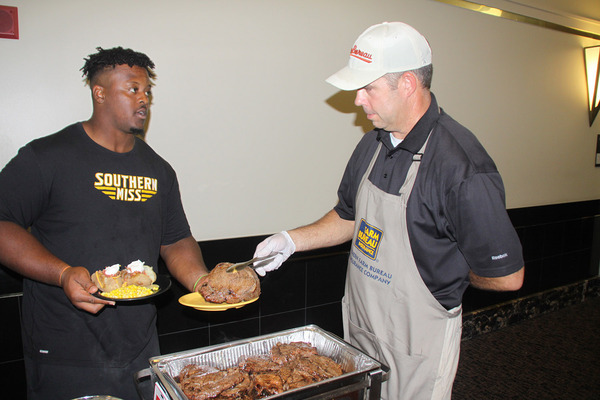 Last Monday night, Southern Miss football players and coaches enjoyed a BEEF supper hosted by Mississippi Beef Council along with Mississippi Cattlemen's, and Farm Bureau Life Insurance. Cattlemen from the Jones County Cattlemen's Association brought their cooking trailer and grilled the ribeyes for the event. Thank you to our sponsors: Farm Bureau Life Insurance,T3 Brangus, Forrest/Lamar County Cattlemen’s Association, Holland Veterinary Hospital, and Keene, Bourne, Sanderson Haigler & Eavenson PA. There will be four Area Leaders Meetings this fall starting on August 30th in Starkville at 6:30 p.m. These meetings are designed to help county leadership have a better understanding of MCA and to focus on membership recruitment during the fall membership drive. We encourage county presidents, extension staff, membership committees, and other leaders to attend. To reserve your place at one of the meetings please give Cassie a call at the MCA office. 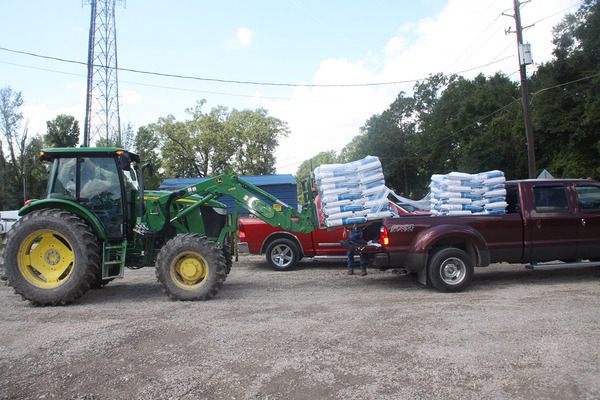 Thanks to generous donations from producers in Mississippi, MCA was able to purchase a load of feed for Louisiana cattlemen who suffered losses during the recent flooding. 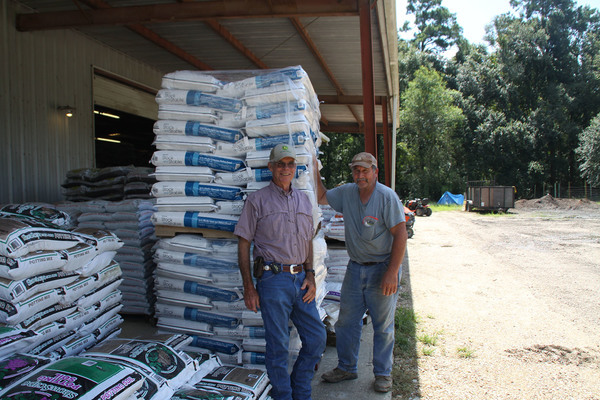 Former MCA president, Joe Magee along with Andy Berry delivered the feed to Livingston and Ascension Parishs where they met with Dale Cambrey, Louisiana Cattlemen and flood relief volunteer. MCA coordinated the relief efforts through the Louisiana Cattlemen's Association and the Louisiana Commissioner of Agriculture and Forestry. The need of human assistance is still great, and we encourage you to assist. To donate money for cattlemen relief efforts please contact the MCA office. 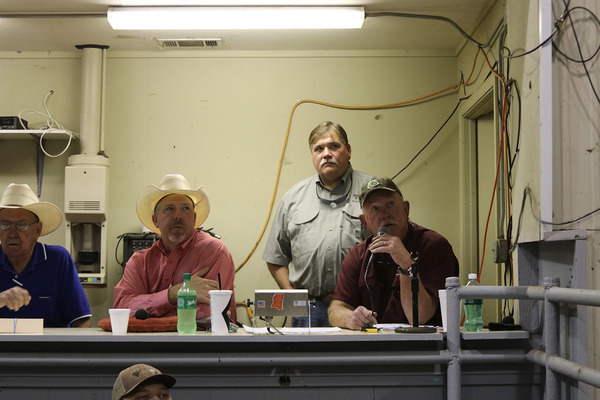 On Saturday a large crowd was on hand for the Southern Producers Replacement Heifer Sale in Hattiesburg. This year marked the 15th anniversary of the sale and producers and extension staff, who helped produce the sale, were honored for all of their hard work. The sale averaged $2028 on 225 head of heifers. 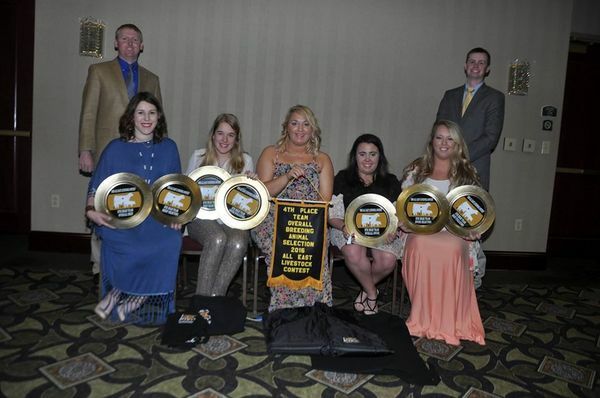 Livestock Judging Excellence Fund was established last year to fund scholarships for judging team members. This perpetual fund requires that $25,000 be donated before we can begin awarding scholarships. Today we stand at $10,400, almost halfway to our goal. As alumni and friends of the Department of Animal and Dairy Sciences, we have been challenged by a fellow alum, who wished to remain anonymous, to join him in supporting this worthwhile cause. He has offered to match up to $10,000 in donations made from now until September 15 of this year to the Livestock Judging Excellence Fund. Please join us in supporting the students who represent our university in contests across the country by making your payment payable to the MSU Foundation , Inc. and denote "Livestock Judging Excellence Fund" on the memo line. Please send your tax-deductible contribution to the following address and thank you for your continued support of the program and our students. P.O. Box 9520 • Mississippi State, MS 39762.